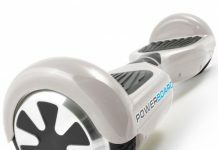 (Dec. 2018) Are Hoverboards & Self Balancing Scooters Illegal? WTF? 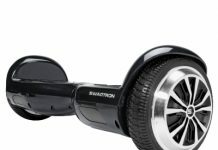 Are Hoverboards & Self Balancing Scooters Illegal? If you’ve been considering picking up one of these exciting machines for yourself, these kinds of headlines can be a little off-putting. While technically none of these headlines are false, they are very misleading. 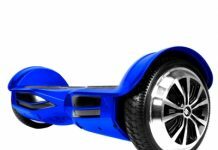 Let’s take a look at the currently laws surrounding hoverboards and find out what you can and cannot do. Last year, it was discovered that a number of hoverboards manufactured overseas were using counterfeit and dangerous components. This lead to a lot of safety issues, so the US temporarily banned all imports until they could discover the source of the problem. Once they understood every potential failure point in a hoverboard, they designed the UL certification. Any manufacturer that wants to sell a hoverboard in the United States must submit their product for inspection. UL will test it in every way possible, and they declare whether it is safe or not. Currently, uncertified hoverboards are illegal. This doesn’t mean that owning one will get you arrested, although it could pose a safety risk. What this means is that if you order an uncertified board from overseas, it will be seized at the border. You will not be able to get your money back, and you will not get your board. However, certified boards are completely legal to own. You can buy one from an American retailer, or even online. As long as the board is shipped from within the united states, you can be confident that you are not breaking any laws. Editorials claim that hoverboards are banned to be used on the roads throughout the united states. Reading through the article, you might think that taking your hoverboard out in public will result in a stiff fine. The truth is, it is totally legal to ride your hoverboard in most places. They one place you shouldn’t use your hoverboard is on a highway. If the speed limit is 30 MPH or above, you’ll be committing a crime but using a vehicle that is not able to keep up with the flow of traffic. In most places, however, you’ll be fine to use a bike lane or the sidewalk. The one exception to this rule is New York City. The city is quite crowded, and can become congested very easily if a reasonable pace is not kept on the sidewalks. There were many reports of hoverboard riders ripping around dense areas, occasionally causing minor accidents. The city has since banned hoverboard use in all public areas, and may issue a fine if you are caught. Another area to ban hoverboards is the state of California. They’ve also added a few restrictions on their use. Just as riding a bicycle, you have to wear a helmet. This is good practice no matter where you are, but in California it’s the law. You also have to be 16 to use a hoverboard, no matter where you are riding it. 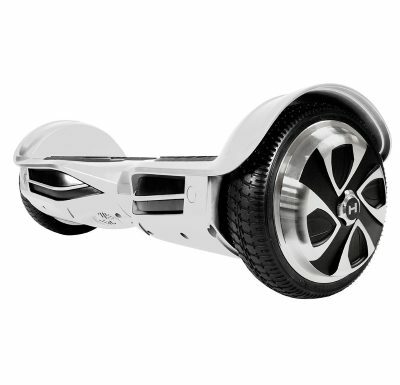 Lastly, they’ve banned use of hoverboards on all roads and sidewalks. You’ll have to wait and see how these rules are enforced. Some are only enforced at the discretion of the police. For example, California has also banned the use of skateboards on roads and sidewalks. In spite of the law, there is no shortage of skateboarders cruising around. Typically, you will not be issued a fine for skateboarding as long as you are safe and not bothering anyone. It’s only when skateboarders are tearing through crowded areas or causing a disruption that they are ticketed. It’s possible that the hoverboard restrictions will be treated the same way. But until the law has been out for a while, it may be better not to risk the ticket. How Much Is a Hoverboard? Prices Revealed! What Is a Hoverboard & How Does It Work?